Operates with 1 AAA battery. 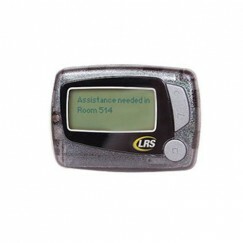 Our alphanumeric pager is absolutely the easiest to use, full-messaging on-premise pager on the market. 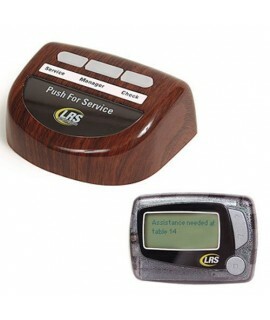 Until now, the complexity of the standard alphanumeric pager has been overwhelming and not user-friendly. 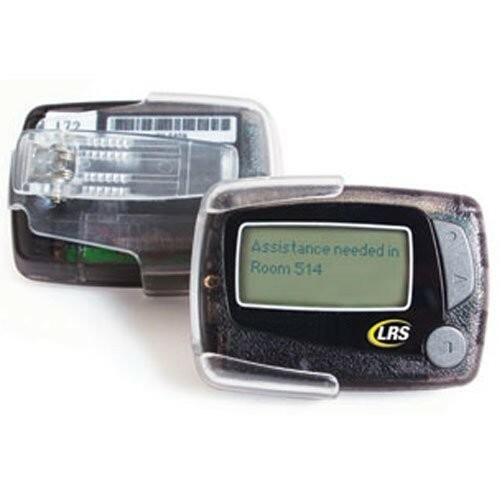 Our alphanumeric pager has simplified menus and only gives you the on-site features you need like auto on/off and deleting messages. 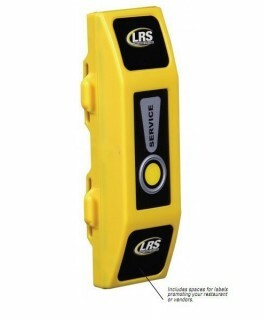 It boasts advanced features like group paging, wireless programmability and out-of-range indication. 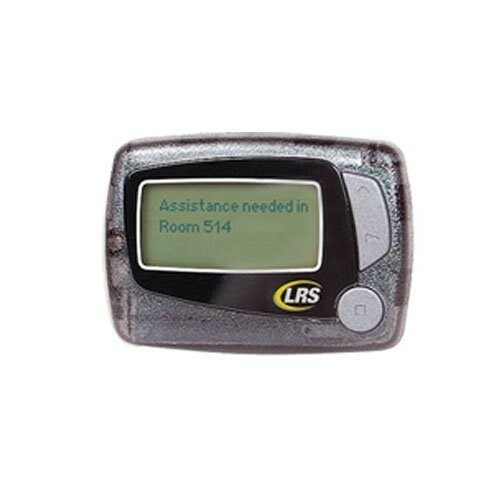 This is truly the first alphanumeric pager designed for the on-premise market. 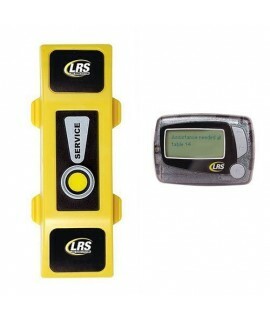 The LRS alphanumeric pager is compatible with all LRS transmitters and offers the longest range available. 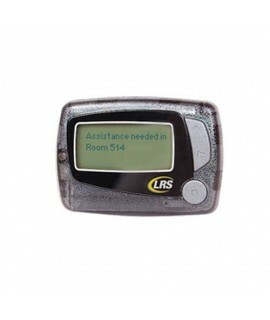 This alphanumeric pager operates on 1 AAA battery that lasts approximately 3 months with normal usage. It automatically switches from a 2-line display to 4-line display depending on the length of the message. Holds up to 25 messages. 4 line, 200 character display. Vibrate, beep, and lock down alert modes. Operates on a single AAA battery. Automatic On/Off increases battery life. Supports up to 5 groups. 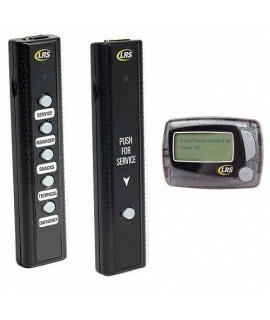 Set time and date from any LRS transmitter. Dimensions: 2.5" x 1.75" x 0.75".